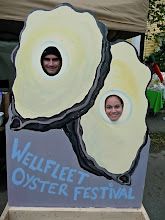 We are counting down the days until the fourth annual Oyster Invitational and can't wait to see you all on May 6th! In the meantime, we thought we'd offer a sneak peek at this year's fabulous silent auction items! From a full Siena Farm CSA share to a Tour of Italy dinner with our very own Wine Director Cat Silirie, there are tempting items, big and small, offering plenty of unique sipping, dining, and cooking experiences! In addition to the silent auction, there will be other opportunities to support Meet the Worms! and win some cool prizes by participating in the Balloon Pop and the Shuckers Raffle. Be ready to eat, drink, play, and support a great cause and we'll see you at the Oyster Invitational! The first initiative of the Barbara Lynch Foundation, Meet the Worms! is dedicated to teaching children about the importance of nutrition, exercise, and community involvement. This pilot program engages the students, parents, teachers, and community partners in creative and innovative ways to bring about healthy eating habits, media literacy, and a broader world view for these children through hands-on learning in the garden and in the classroom. Stay tuned for OI updates and a complete list of participants and schedule of activities by visiting www.facebook.com/bandgoysters and www.bandgoysters.com. 1. I don't grill too many oysters. I like them raw, fresh from the ocean. 2. On those few occasions when I had grilled oysters, I didn't see anything wrong with placing them on the grill one by one and removing each oyster, one at a time. After all, what other option did I have? But, after a tweet from Charlie at BBQ Oyster Grill, I decided to try his product. It arrived as promised and was well packaged including tips and instructions. I picked up 60 oysters for four of us to test the BBQ Oyster Grill. Right away, I loved that after an oyster was shucked, it rested nicely on the BBQ Oyster Grill without spilling. 15 oysters fit easily for our first round of grilling. We added shaved smoked cheddar cheese and chopped chorizo sausage to most, and BBQ sauce to a few. The Grill cooked the oysters simultaneously for even cooking and consistent results. Instead of placing each oyster individually, we just placed the entire rack on the grill. After about five minutes of cooking time, I used two tongs to remove the Grill and placed the entire BBQ Oyster Grill on a serving try. People enjoyed selecting a grilled oyster right from the rack and I enjoyed not having to remove each oyster from the hot grill, one at a time. 1. The 11" x 16" (1/2 sheet pan) fits half my Char-Broil Grill so I have the space for a second grill. 2. For me, grilling 15 oysters at a time is nice for a small crowd, but I often have a large crowd so grilling 30 oysters at once will be better. If you plan to grill oysters, the BBQ Oyster Grill is worth every penny. You will not be disappointed with this product! You can buy the grill online at https://bbqoystergrill.com/Store/ or by calling Charlie at 707-481-0128. Be sure to tell him, Josh from Go Shuck An Oyster sent you. B&G Oysters is gathering chefs, shuckers, and bivalve lovers for its fourth annual Oyster Invitational on Sunday, May 6th from 1pm - 6pm. The B&G team will be joined by several local restaurants including Neptune Oyster, Erbaluce, Uni, and Orinoco for a number of friendly (and tasty) competitions with oysters provided by favorites including Matunuck Oyster Farm, Salt Pond Oysters, and Blue Island Shellfish (rumor has it the Naked Cowboy may even make an appearance!). Each oyster company will be paired with two restaurants who will vie for best dish. Guests will determine each duo's winning dish as well as Best Raw Oyster and Best Overall Dish and are encouraged to come hungry and ready to vote! Meanwhile, speed and skill will be on display throughout the afternoon with shucking contests between the restaurants and oyster farmers culminating in a final shuck off at the end of the event. and a selection of oyster-friendly wines. advance and that guests must be 21 years of age or older. General Admission tickets are $95 per person (excluding tax) and must be purchased in advance. Ticket price includes admission, two drink tickets, and all-you-can-eat oysters, competition dishes, and items from the "Grill" and "Fry" stations. Additional drink tickets may be purchased at the event ($5 per ticket or 5 for $20). "Pearl" tickets will also be available this year for $135 per person (excluding tax) and will include, in addition to the above, early admission to the Pearl Reception from 12pm-1pm with passed appetizers and an opportunity to meet the chefs and oyster farmers, 3 drink tickets, and a recipe book. A silent auction will offer an array of fabulous items including a TBS Butcher's Basket, a Barbara Lynch Gruppo wine collection featuring the proprietary wines of each restaurant, and a private cooking lesson with a Gruppo chef! Proceeds will benefit a local initiative dedicated to teaching students attending Boston public schools about nutrition, healthy lifestyles, and sustainable agriculture through learning in the classrooms and urban schoolyard gardens. The celebration will continue across the street at The Butcher Shop which will be hosting Surf and Turf Smackdowns at 12pm, 1:30pm, and 3pm. Limited to 12, guests will be served 3 rounds of dueling small plates featuring surf and turf and paired with wines - one B&G white and one TBS red. Votes will be cast after each round and a winner declared. Tickets to each smackdown are $40 per person and may also be purchased in advance by calling or visiting B&G Oysters.